﻿ How To Build A Brand Name For A Business In 2018? Branding is one of the most important things a business must have. How to create brand awareness for a business? – It is a million-dollar question! A brand acknowledges trust, quality, and recognition. There are many reasons why people love the Top Brands. Not because of the price factor but there are other things like quality, and satisfaction you can get from business branding. Branding helps the businesses to improve its financial value and attract more customers. Hence, it is always essential for all business owners to acquire a brand name for their product/service. However, if you do not know how you to do it, here are the 5 Best Practices for Building the Business Brand in 2018 & beyond. How To Build A Personal Business Branding? what are the upcoming updates and so on! Describing your strengths and telling how your hobbies tie with your business would help in obtaining more customers and establishing a brand name for your product/service. After outlining your business, the next thing you need to focus is to create a Personality Shine! Remember one thing; a name is always the first thing that catches everyone’s attention. Try to choose a catchy name to start off with. Once you are done with this, the next thing that you need to do is to choose the fonts and the colors for a brand name, creating a unique and memorable logo. It will make the business much more attractive. Any cool name with a catchy tagline makes things go better in different stages. You would love to make it go forward with this. So, what you need to do is very simple. Make an attractive logo that reflects your company. I hope you are aware of the World’s most favorite logos like Apple, Google, Microsoft, Mercedes Benz and much more. Since the technology is emerging, you don’t need to hire a design professional to create a logo. Just use the excellent design tool from Wix and create a stunning logo for your brand. Wix also offers great resources for logo design inspiration and logo ideas. Adding a personal touch through Name, Logo & Tagline will make a strong brand impact on your business. Having an online presence and reputation is also an important aspect of any business in the today’s tech world. A professional website plays a vital role in branding because it can get more eyeballs for your business and convert them into sales or leads. Like the logo maker tool just I have discussed above, you don’t need to be a tech-savvy person to build a fabulous website for your business. Yes! Wix comes into the action again! Have you heard about Wix website builder? Do you know it is available for free? All you heard is true! Wix gives you the freedom of creating a site that looks the way you want. Just sign up for a free Wix account and customize the website according to your preferences. Wix Editor and Wix Code will help to manage and grow your business brand online. After creating a professional business website, consider crafting the content for it. You may add a blog page to the site and list the features of your product or service. As I mentioned earlier, comparing your business with the opponents and highlighting the unique qualities would help you get a memorable name for your business. Have it in mind that the consistency matters a lot in publishing the content and hence you may hire a content writer to generate quality articles related to your business. SEO is Search Engine Optimization, and it is nothing but making a search engine friendly website. The power of SEO to any website is indeed very immense. Most of the businesses are unaware of this, and yet they do not know how SEO can bring the targeted clients to a business. SEO is somewhat confusing because the search engine algorithms keep on updating to offer the best and accurate results for the users who are looking for particular information. If you are a newbie, then how could you do the SEO for your business website? Don’t worry! I have an ideal resource! Yes, you can rank higher on Google with the help of Wix SEO Wiz through which you can choose the right keywords and follow a personalized strategy. Like SEO, social networks can boost the brand awareness of the business! Facebook, Twitter, Google Plus and LinkedIn are fantastic sources to get the loyal patrons. Add attentive followers and engage them through quality content. You may also ask them questions to perform better. Contests, offers, and prizes do attract and engage a lot of consumers quickly. You should understand that the free promotion is the best marketing method to reach the potential customers. If you gift the branded item, then they will easily remember your business. Believe me! The freebies are more potent than the paid advertisement because the gift items are always in front of the eyes that in turn increase the business exposure. There is a difference between Growing a Business and Evolving a brand. Branding helps you to keep your promises, deliver value and win the trust of the people. This is the reason why you can get loyal customers all the time. Offer great customer service to your clients and get the unbiased feedbacks from them. Wix has consistent updates, and yes, it can play a prominent role in business branding. Try to make use of the stunning tools of Wix and stand out from the crowd. 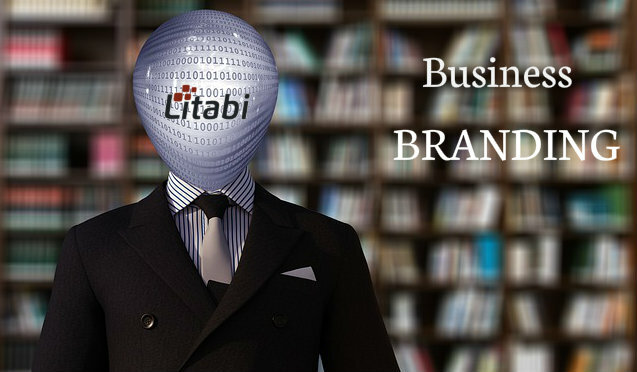 I hope I have shared some useful tips to get an unforgettable brand name for your business. Are they beneficial? Share your priceless thoughts in the comment section! Is the PRINCE2 Foundation And Practitioner Certification Useful? Should I Study PRINCE2?